This is a simple and affordable way to feed your family on a budget. 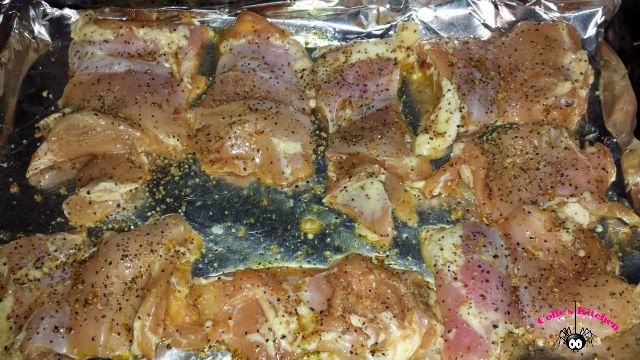 It’s a quick and easy meal that you can start marinating the night before you make dinner. You can easily marinate these on Sunday then quickly and easily make a dinner on Monday night to serve your family. 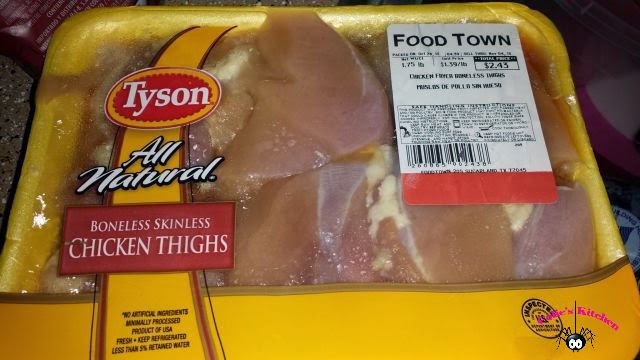 If you watch your sales adds you can get boneless chicken thighs on sale for around $1.50 a pound. You can’t beat that! Heck that can make dinner practically nothing. This recipe is easy and delicious and if you don’t have some of these items in your pantry you can substitute other items in place of what is in the recipe, any oil, any spices, or whatever you have. Work with what you have. Don’t spend extra money on ingredients you may never use again, make substitutions! In a small bowl whisk together the red wine vinegar, olive oil, Dijon mustard, herbes de provence, 1/2 teaspoon Kosher salt, 1/2 teaspoon freshly ground black pepper. 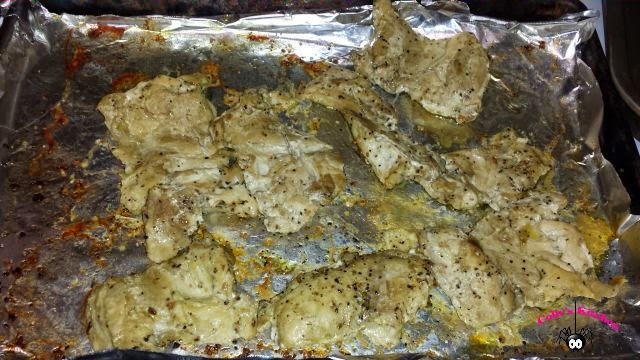 Spread a teaspoon of olive oil over the bottom of a large (9x13-inch) baking pan. Place the chicken thighs on the pan. Wedge the garlic cloves between pieces of chicken. Whisk the vinaigrette again and pour it over the chicken, spreading it with your fingers to make sure the chicken is well coated. Bake uncovered in a 375°F oven for 30-40 minutes, or until the thighs are well browned and cooked through. Remove from oven and let rest for 10 minutes before serving. Wordless Wednesday: I Seeee YOU!